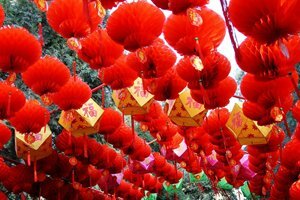 Chinese New Year China Travel Tips, How to Avoid the Stress! The Temple of the Earth at Beijing is full of festive mood. 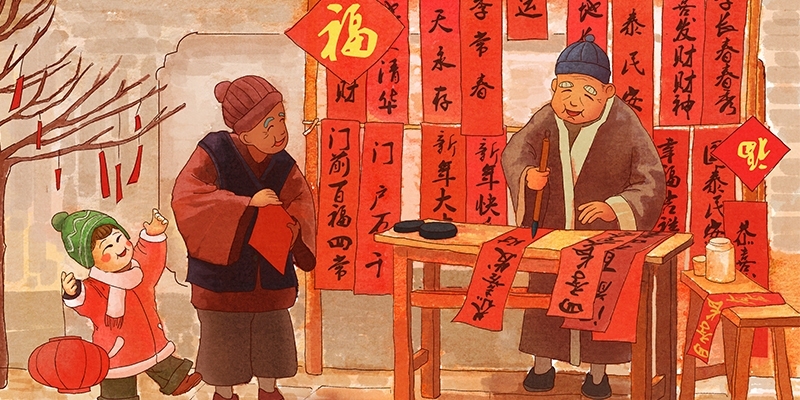 Travel within China during the Chinese Lunar New Year holidays has its advantages as well as its disadvantages. 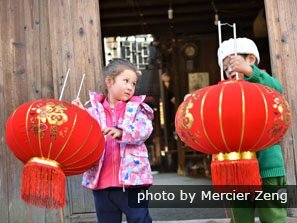 Here we&apos;ve rounded up some travel tips to help you enjoy a smooth trip during Chinese New Year period. 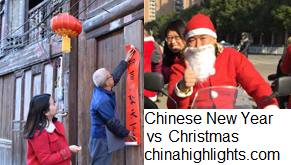 It is one of the best times of the year to "rub shoulders" with the Chinese people. 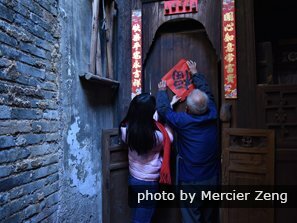 The Chinese tend to be open and friendly, but they are even more so during the Chinese Lunar New Year holidays, a time when everyone except for the most essential staff enjoy a week&apos;s paid vacation. 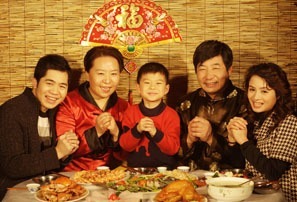 You might consider celebrating with a Chinese family. The opportunities to "rub shoulders" with the Chinese people are indeed many, given the many cultural activities that take place during this period. The best places to watch these cultural activities are Beijing and Hong Kong. See The 4 Best Cities for Chinese New Year 2019. 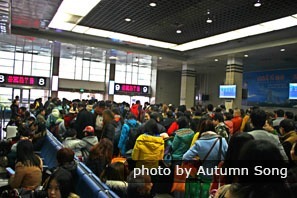 It must be said that there are large crowds in transit everywhere in China at this time of year, particularly at all of the major transportation hubs such as airports, railway stations, and bus terminals. Certain popular flights may be sold out, trains in general are likely to be sold out a week ahead or more, and even regional and local buses are overcrowded. Train tickets are very hard to get. If you plan to travel during the Chinese New Year period, China Highlights recommends you travel by flight. Shopping malls teem with life and promotions and processions can fill up plazas and block sidewalks... until the big lull from New Year&apos;s Eve to New Year day 2 (February 4-6, 2019), when almost everyone seems to stay at home, and most businesses shut. But don&apos;t worry about your China tour, most tourist-related enterprises open as usual. Large restaurants, attractions, hotels, etc. will be open and ready for more customers. People stay at home with family from New Year&apos;s Eve to New Year&apos;s Day. Street life slowly returns to normal from the big return to work around New Year day 7 (February 11, 2019). Eating/retail options are limited in the public holiday. Many hotels may give low price to attracts customers. So rooms in popular tourist cities are booked far in advance (the lower the price the quicker they fill up, naturally, so the best strategy is to make reservations as early as possible). Restaurants can be jam-packed, and with such large throngs of people, all vying for the same limited resources, prices are naturally on the increase. The following collection of helpful tips are conceived with you in mind. Observing them will help you to avoid the most congested travel modes and destinations, the accumulation of frustrations from a lack of proper planning (such as not having made necessary reservations). 1. If at all possible, avoid traveling by rail. It&apos;s very hard to get train tickets at Chinese New Year. This is the preferred mode of transportation of the Chinese people, partly because it is cheap and efficient (both excellent reasons for traveling by rail at any other time of the year in China!) and partly because it is a social event in itself. 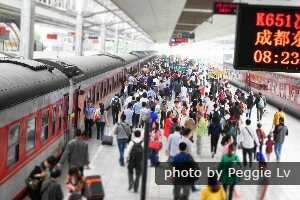 With practically all of the Chinese people on holiday — and many of them on the move — the likelihood of finding space on a train is minimal, and even if space is available, it can be a daunting experience for you to be so tightly confined alongside so many people who do not speak your language. 2. Arrange as much of your itinerary as possible beforehand. This will save you from having to constantly juggle so many of your travel options that it spoils the fun of traveling. You should especially book as many of your flight tickets and your hotel rooms as possible, but of course you do not want to book hotel rooms unless you have booked your flight as well, otherwise you may end up paying for a hotel room that you do not occupy. If you wish to enjoy a loose, carefree, unplanned journey through China, then even the high tourism summer season is a better period for this, as the competition for accommodations and transportation is much less acute than around public holidays. 3. Try to exercise patience and maintain a cheerful spirit. Arrange your tour in advance. Some level of snags at this time of year are almost unavoidable. Showing flexibility and maintaining a cheerful spirit will increase your chances of securing a satisfactory alternative arrangement, and it will of course make it easier on yourself. If you find yourself getting stressed over too many petty incidents, or over having too many people around you, try relaxing the Chinese way by visiting a sauna, where you can also get a relaxing massage, or attend a tai chi lesson or two; both are guaranteed to relieve stress! 4. Bring along warm clothing. Depending on where you intend to travel (some areas of south China are mild by day even if they are cold by night, while a few are outright South-Sea-Island warm), you may find that "layered" clothing (sweaters, jackets with removable linings, windbreakers, etc.) is the best solution, as this allows you to adjust your clothing frequently, to match the frequent changes in the daily weather cycle. North China is very cold at New Year. See China Weather in February. 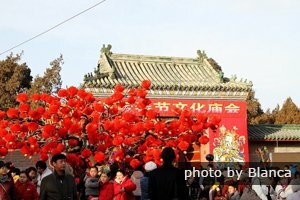 6-Day Beijing Essence with Traditional New Year Activities — Beijing is a great place to enjoy the celebrations. 8-Day Beijing –Xi&apos;an –Shanghai Private Tour — Our ever-popular “Golden Triangle” China tour is very doable at CNY. See more China Tours. Our tours are customizable according to your interests and requirements. Contact us to help you tailor-make your own tour.